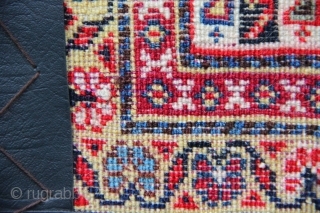 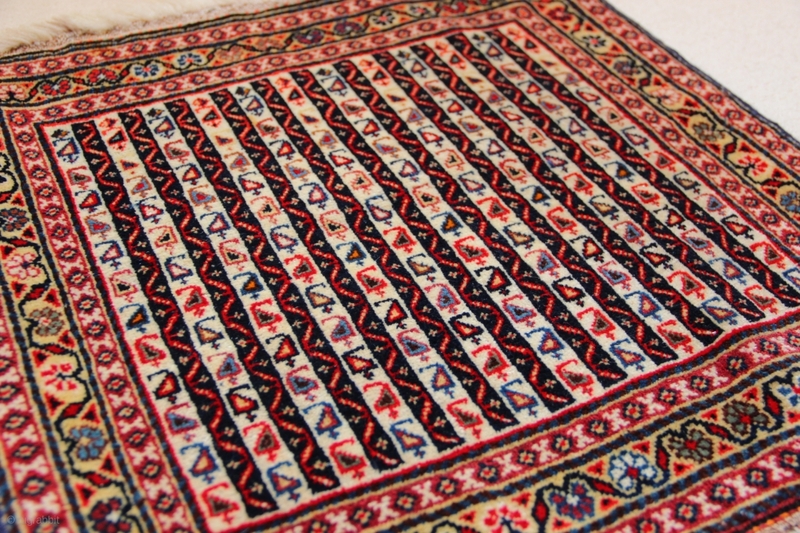 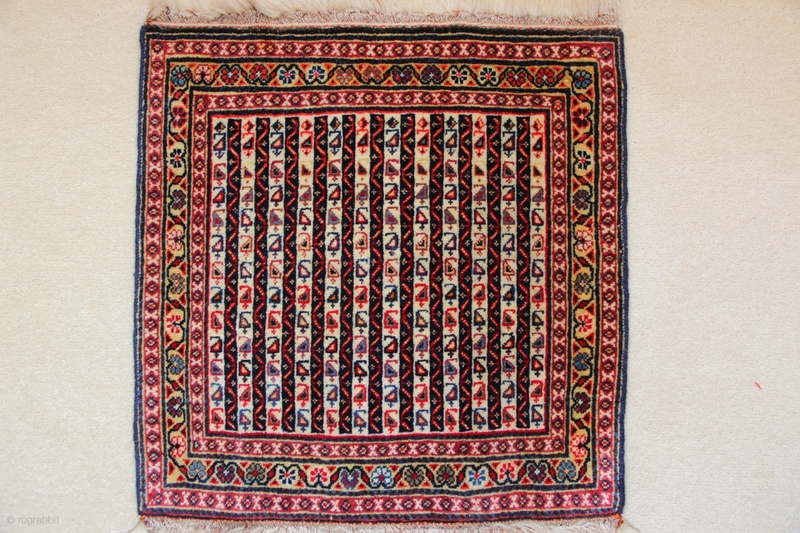 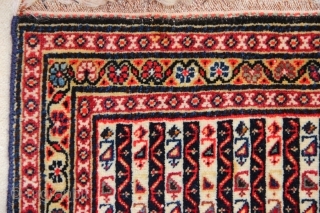 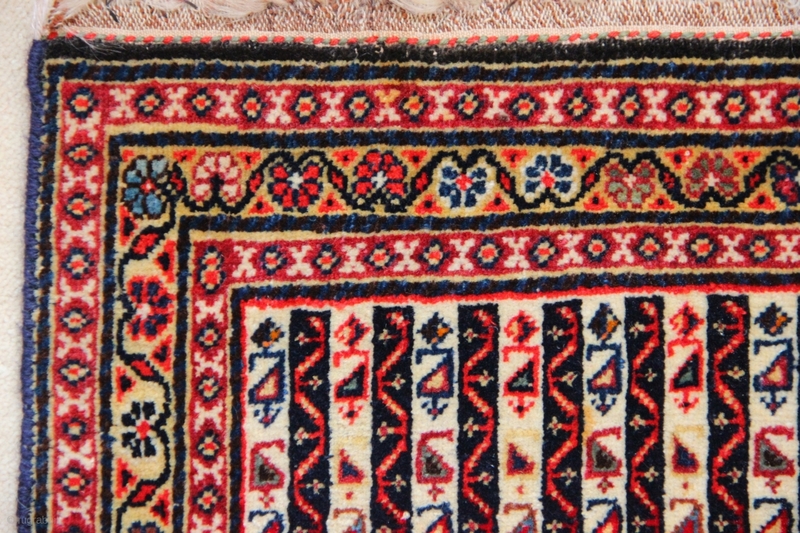 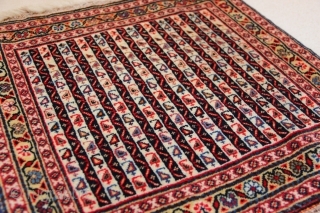 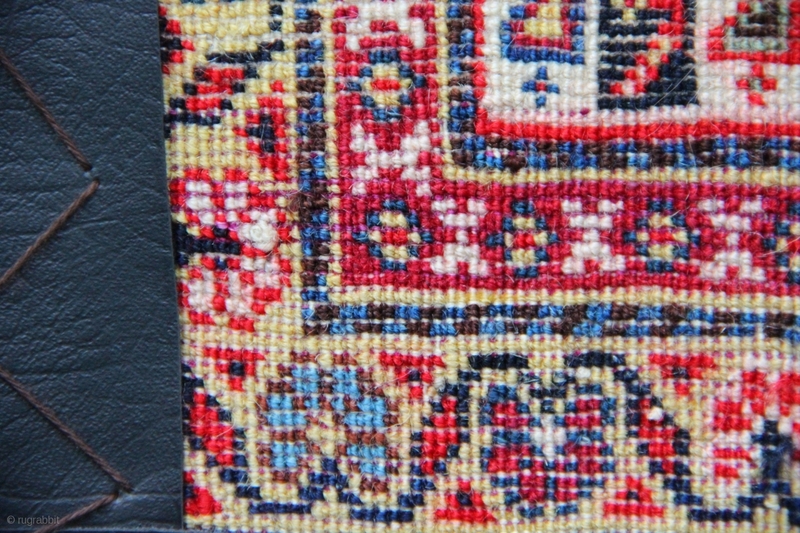 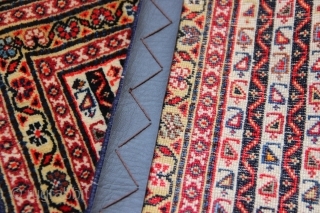 Early 20th century silk wefted Qashqai Pushti 51 x 52cm / 1'8" x 1'8" in excellent condition. 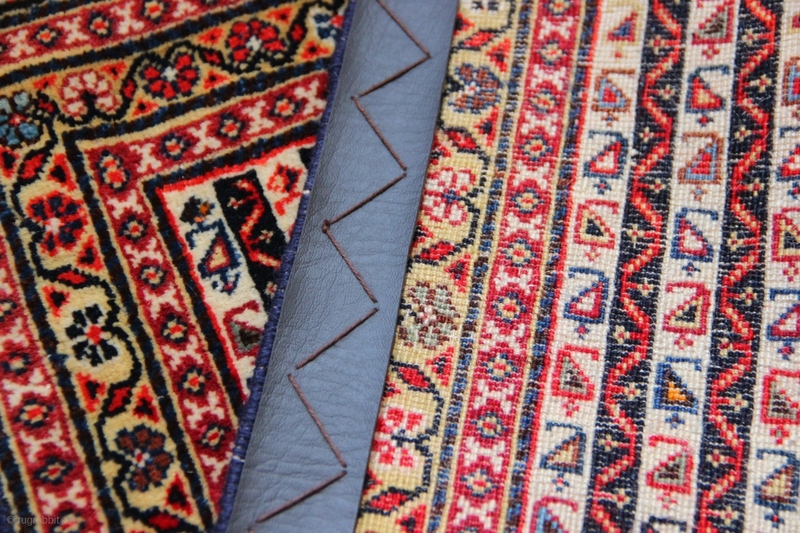 Sides new overbound. Typical 'hot' red.